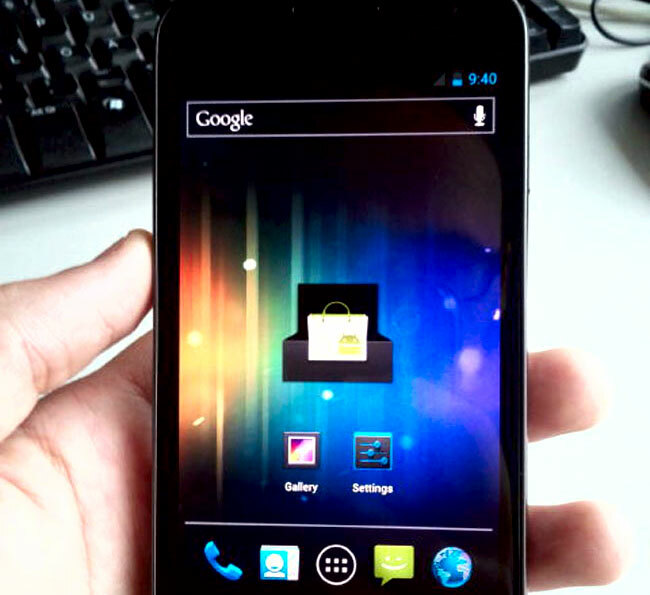 Lots of news on the new Samsung Galaxy Nexus (Google Nexus Prime today, first we heard that NTT DoCoMo would start selling the device in November, and then we saw a leaked press shot of the new Android Ice Cream Sandwich device. And now we have some more specifications on the Samsung Galaxy Nexus, which of course include Android 4.0 Ice Cream Sandwich as the smartphones OS, a 1.2 GHz TI OMAP4460 dual core processor, and the rumored HD display we have been hearing so much about will be a 4.65 inch multi-touch touchscreen AMOLED display with a resolution of 1280 x 720 pixels. The specifications seem to tie in with what we have heard previously, and it looks like the Samsung Galaxy Nexus will feature the advanced 5 megapixel camera that we heard about before and it will be capable of recording Full HD video in 1080p. There is also 1GB of RAM and either 16GB or 32GB of storage, NFC, GPS, Bluetooth 3.0, WiFi and a front facing 1.3 megapixel camera plus a 1,750 mAh battery.